An accelerator for the A2000 which plugs into the CPU Fast slot. It also includes a DMA Fast SCSI-II controller which provides an internal 50pin connector, and an external 50pin connector. This SCSI controller is infact the fastest SCSI controller available for the A2000. 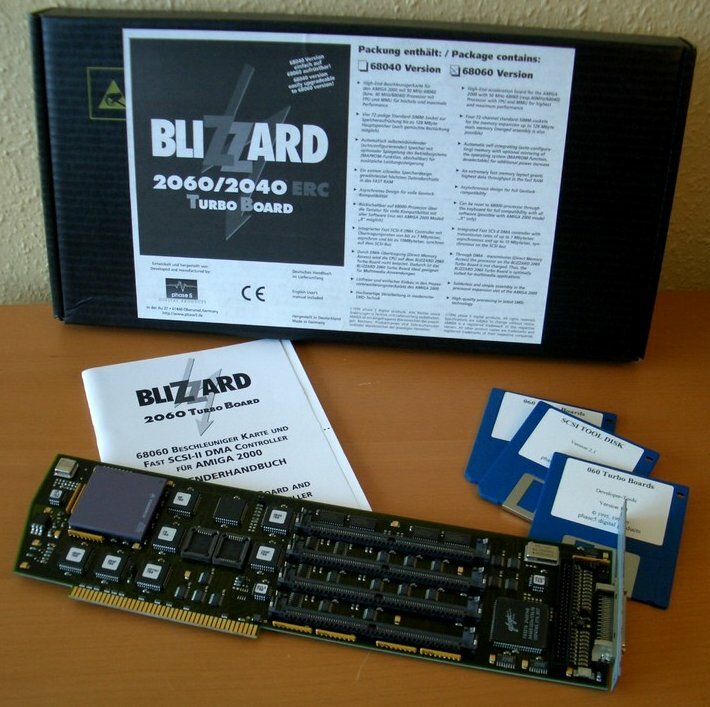 This card apparently works in an A500 fitted with the Micronik A500 busboard, as it has an A2000 style CPU fast slot.